Patek Philippe. 175th Anniversary Grandmaster Chime.Men’s wristwatch with v.complicated movement for serious Collectors. 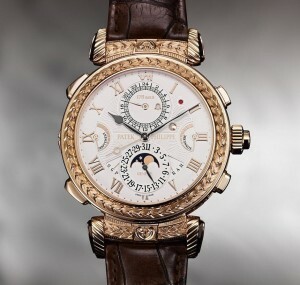 Patek Philippe 175th Anniversary Grandmaster Chime. An extraordinaire men’s wristwatch with a very complicated movement, for serious Collectors.Image courtesy Patek Philippe. Cartier two tone skeleton 9616 MC man’s wrist watch,perfect balance of power & elegance. Cartier Tank MC,Two tone skeleton 9616 MC. Perfect balance of power & elegance Swiss manufacture’s expertise. 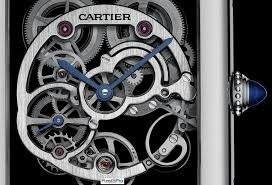 Established in 1847 Cartier creates exceptional watches. Images & info Courtesy Cartier. 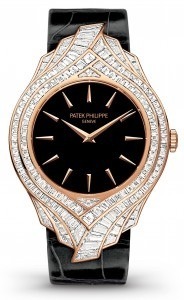 Patek Philippe Grand Exhibition London, Saatchi Gallery May 27—June 7 2015. Patek Philippe will be launching the Calatrava Haute Joiallerie watch, gold & diamonds, at the Patek Philippe Grand Exhibition . Watches from 1839 will be shown. There will be exclusive watchmaking ateliers & demonstrations Expo from 27th May —7th June 2015 at the Saatchi Gallery Duke of York’s Square, Chelsea, London. Image courtesy Patek Philippe. 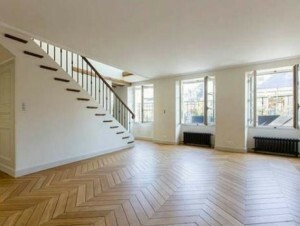 Paris Left Bank 18th century building, apartment for sale, 110 square metres, duplex lay-out. Historic Paris. Functional apartment for sale. Greek Island Dream. Sivona. New hotel just opened. Greek Island dream. Sivona. Simpson Exclusive travel have recently opened the White Orchid Hotel, for adults only. A light modern decor using pale quarried stone & plenty of glass. Infinity pool. Sivona has a Beautiful harbour, and gorgeous views of the blue Mediterrean. Within easy reach of Corfu. Courtesy Simpson Exclusive Travel. Deauville. Omnium Racing Club launched by Arqana Racing Club. Deauville. Omnium Racing Club consortium has been launched this week by Arqana Racing Club. Here a shareholder is seen with recently acquired Filly Lawman. Deauville October 2014 buoyant start to the Yearling sales at Arqana. 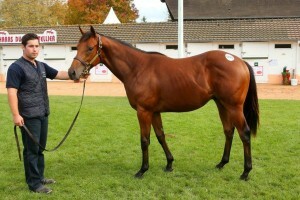 Deauville October Yearling Sales. Very buoyant. Haras de la Perelle presented No.2 that was the highest selling horse for the 1st day, 20th October, of the Arqana Deauville October sales 2014. 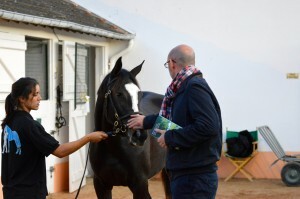 The horse was acquired by the well known trainer Alain Royer du Pre for Italian clients. for 350.000 euros. Images courtesy Arqana Deauville. 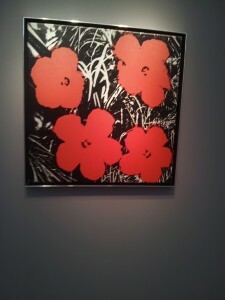 Andy Warhol 1964 Flowers synthetic polymer & silkscreen ink on canvas. An instantly recognisable image. Still resolutely stylised & modern Presented at Frieze Masterpiece., Regents Park, London 15/19 Oct 2014. Vedovi Galerie, Brussels. 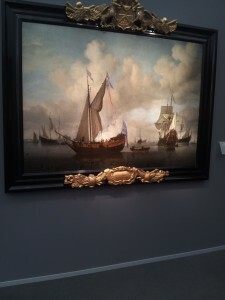 Zurich Art Galerie David Koetser presents a collection of Old Masters at Frieze Masterpiece, Regents Park London. Possibly one of the shows most delightful paintings is by Wolfgang Heimbach 1613-1678. A German painter who spent much time in 17th century Denmark. Court painter to Count Oldenburg. Heimbach also worked in Italy for the Aristocratic families of Doria Pamphli. He also served as Court painter to King Frederik 111 of Denmark -Norway. This rare winter scene is charming & well lit by light skies. Vienna Galerie Sanct Lucas. Presents stunning unpublished picture by Willem Van de Velde the Younger, at Regents Park London. Frieze Masters Art Exhibition 15-19 October 2014. Willem Van de Velde The Younger. Leiden 1633-1707. London. Presented by Galerie Sanct Lucas from the Austrian capital, Vienna. The English Royal Yacht Mary, about to fire a salute. 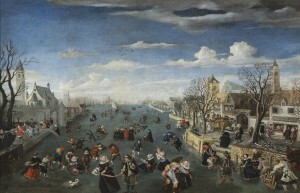 The River Festival at Amsterdam 1660. 126X178 cms A stunning, rare, large & unpublished painting from a Private Swiss Collection. Presented at Frieze Masters. Regents Park, London. 15-19 October 2014. 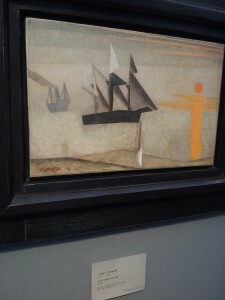 Lyonel Feininger 1871-1956 Ships and Red Sun. 1925 Oil on canvas. A Very prestigious provenance for a rare oil painting by this artist. Wienerroither Galerie Vienna. Tattersalls Newmarket records tumble at the Autumn Yearlings Sales. Tattersalls announce records tumble as they hold Book 2 of their Autumn Yearling sales at New market. With 660 Lots over the three days of Auctions, realising over £42.500.000, a new record, plus 17%. 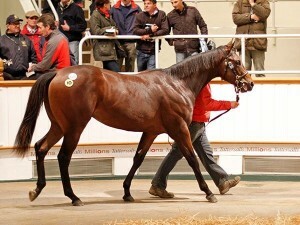 The attractive colt Poets Voice being sold for a new record at 525.000 guineas. Image courtesy Tattersalls. Chelsea Embankment. 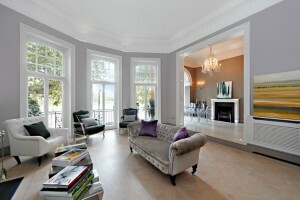 Thames views across to Battersea Park, stunning 2 bedroom flat for sale. Ferrari F.60 America. To be produced in a limited edition of only 10 models. 0–60 mph in 3.1 seconds. 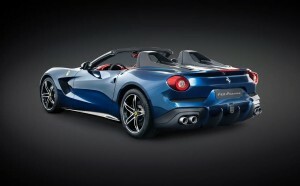 The new Roadster which celebrates 60 years since Enzo Ferrari delivered his first Ferraris to America. 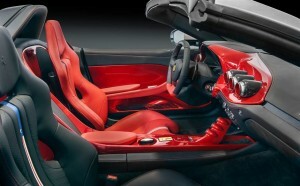 The last 4 Ferrari models that have been launched were in Limited Editions. Ferrari hopes thereby to maintain a vibrant Collectors Market, for these rare models, with high prices, rumoured to be around $2.500.000 each. Courtesy The Telegraph. Michael Harvey. John Schlumberger design for Tiffany & Co. Paris. Cascades & plumes of coloured jewels on 18 carat gold, cabochon emeralds, rubies, sapphires, for a fantastic “Oiseau de Paradis”, brooch. Sothebys Auction New York. Autumn 2014. Courtesy Sothebys. Photo Bert Stern featured in Vogue in November 1963. Photo Courtesy STERN VOGUE CONDE NAST. Wings of Love. Congratulations & Happy Days . Katie & Alex on yr engagement. 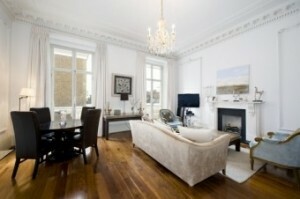 Belgravia London 2 bed flat to rent from Henry and James, Estate Agents. Paris Real Estate. 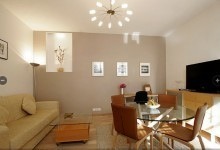 Apartment for sale Paris close to the Champs Elysees, the Seine river & Eiffel Tower. Luxury home cinema installed. Paris Real Estate rental. 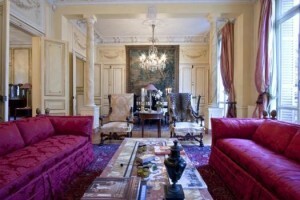 Splendid Mansion to rent in central Paris, the elegant 7th Arrondissement..